Press release from The Nursery in Portishead. 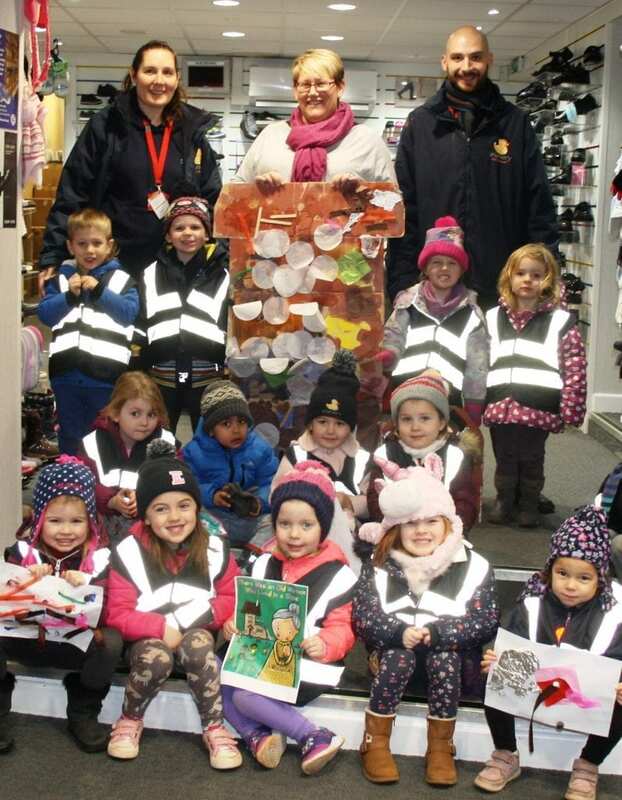 Children at The Nursery in Portishead, near Bristol, celebrated National Story Telling week by teaming up with their local shoe shop, SoleLution, to help the family footwear store with its window display. 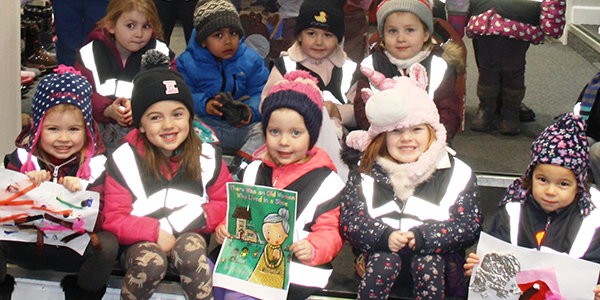 As children across the land marked the tradition and magic of a good story, youngsters at The Nursery took particular delight in the book, There Was An Old Lady Who Lived in a Shoe, which resulted in impromptu arts and crafts based on shoes.